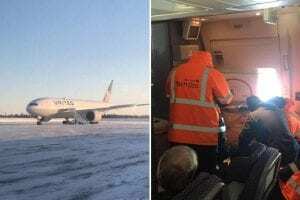 Home World News American Samoa Montreal Convention: United Airlines must pay 250 freezing stranded passengers $5700 each? Montreal Convention: United Airlines must pay 250 freezing stranded passengers $5700 each? United Airlines is speechless. The Convention for the Unification of Certain Rules for International Carriage by Air, also known as the Montreal Convention may cost United Airlines more than a million Dollars. Airline officials had no comments after 250 United Airlines passengers traveling on a flight from Newark to HongKong were taken hostage by Canadian Authorities. This was reported by eTurboNews on Sunday. According to Paul Hudson the responsibility may actually be at the airline. Hudson is president of Flyersright.org the 17-hour tarmac stranding on United Airlines Flight 179 in Newfoundland due to mechanical problems should be a textbook case for delay compensation under the 1999 Montreal Convention, which governs international trips, President of FlyersRights.org. Under Article 19 of this little known treaty that airlines and many governments do not want the flying public to be aware of, airlines are responsible for damages suffered by passengers on a near strict liability basis of up to about $5,700. To avoid liability, the airline must prove that it took all reasonable steps to avoid or mitigate the delay. Having airworthy aircraft is the airline’s responsibility. 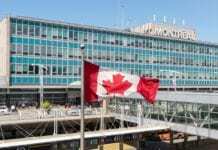 According to Mr. Hudson, the captain could have declared an emergency and this would have allowed passengers to deplane regardless of Canadian immigration rules. Information on fliyersright is available at 1-877-FLYERS-6 or by email to [email protected] or [email protected] at no charge. Jamaica Tourism Minister, Hon. Edmund Bartlett, says that 2017 has been the most significant year to date in the island’s tourism history. JAKARTA, Indonesia - Marketing guru Philip Kotler has been officially chosen as the ambassador for “Wonderful Indonesia”. Kuwait is not a big travel and tourism destination. There are some players in the industry wanting to turn this around - the Accor way.